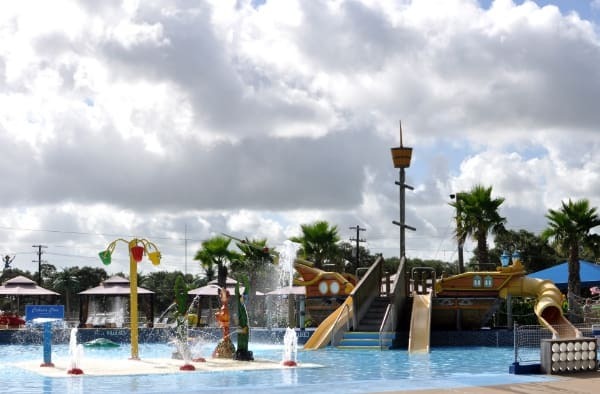 Home»All»Big but not TOO big… Take the family to our favorite Splashway Waterpark & Campground! 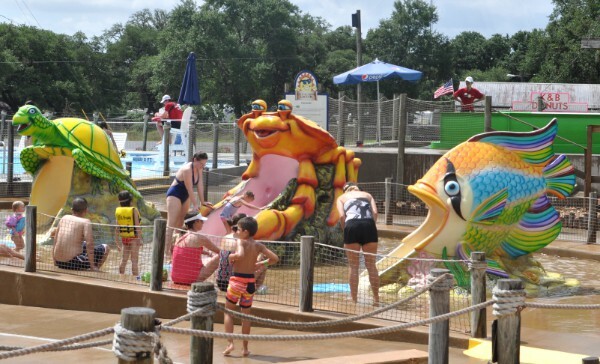 Big but not TOO big… Take the family to our favorite Splashway Waterpark & Campground! 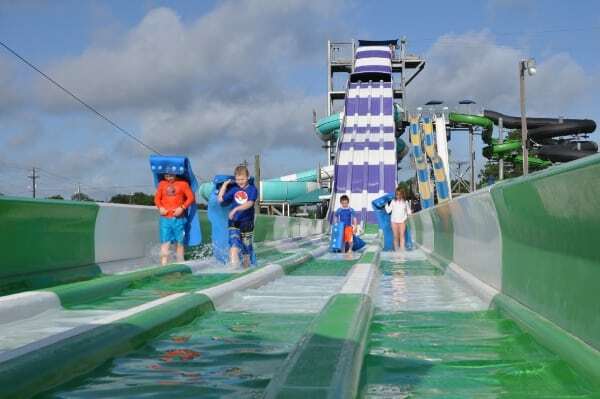 Use code BigKidSmallCity to save $5 on full price waterpark tickets! 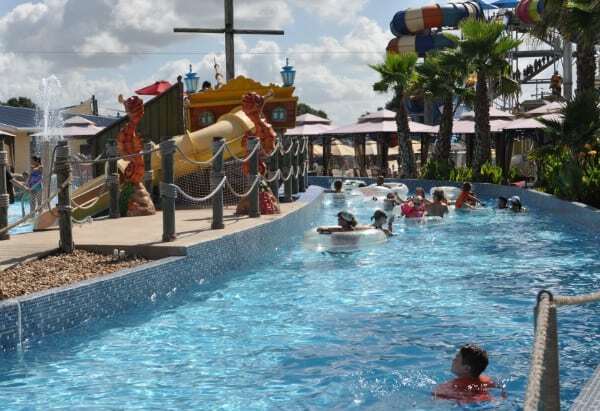 Splashway Waterpark & Campground is our very favorite Houston-area waterpark. It’s a big park, but it’s not TOO big. There is plenty to do for my 11, 9, 6 and 1 year olds… but it is not too big for mom to supervise. 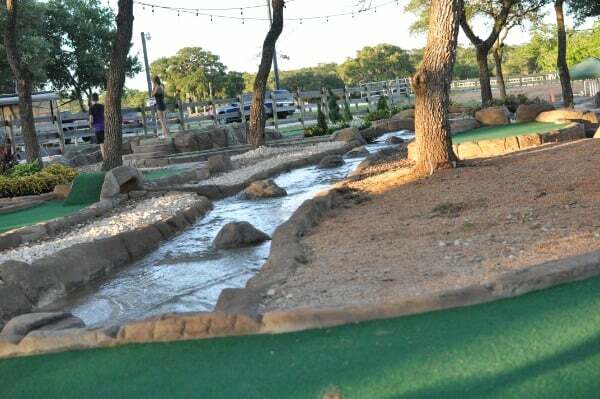 Not only this, but Splashway is perfect for families. 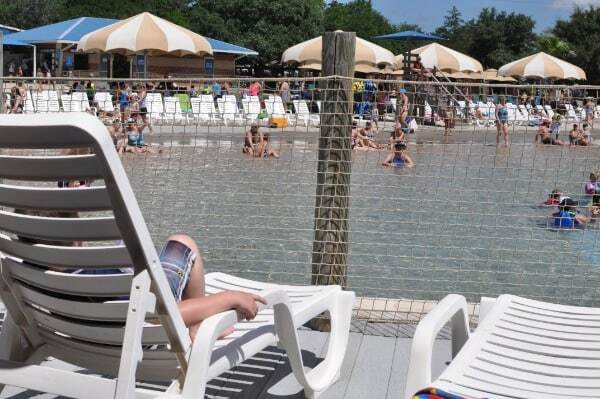 Which other waterpark has frequent calls over the intercom asking kids to check in with their parents? Where else does someone accidentally bump into you and actually stop to apologize and make sure everything is okay? And who else stops everything at 1:00pm, every day, for the national anthem? 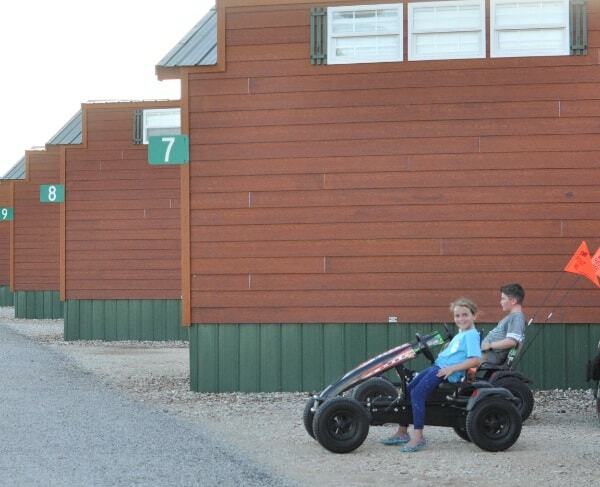 AND, the only thing we like better than visiting this waterpark is staying in the cabins while we are there. 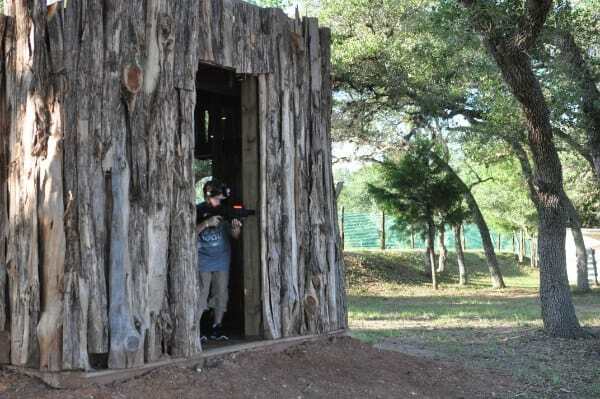 We swim all day and build campfires, play horseshoes, mini golf and laser tag all evening! Splashway Waterpark & Campground invited us out again this summer, and we had the very best time. We’ve now been for a one night waterpark trip, for a winter camping trip… and now we have spent four days at the waterpark and campgrounds. All the trips have been great, but the long summer trip was AMAZING. 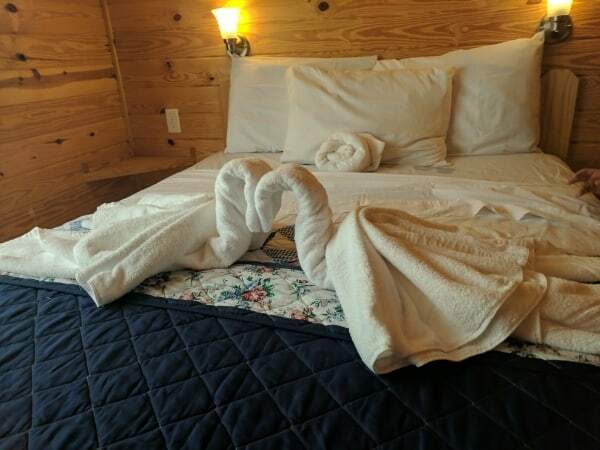 We could wake up, casually eat breakfast, walk over to the waterpark, go down all our favorites before the crowds arrived… head back to the cabin for breaks… and back to the swim in the afternoon. 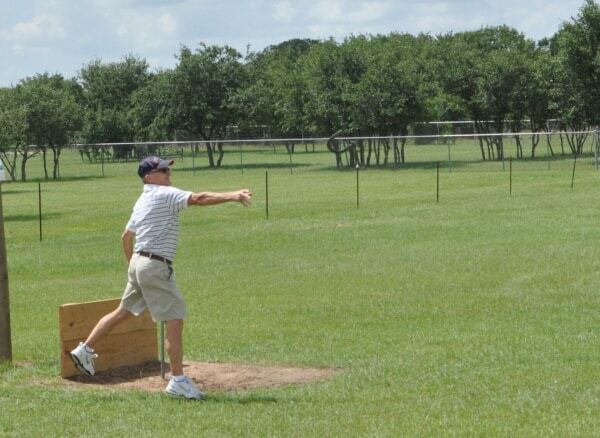 The evenings were filled with campfires, outdoor movies, golf, laser tag, corn hole, playgrounds, horseshoes and more. The kids got to do all the fun camp activities and play at the waterpark… and I got to have everyone together and away from the distractions at home. AND I like that big families can stay comfortably and for not a ton of money. 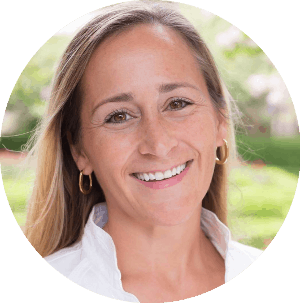 At hotels, a family of six is supposed to pay extra for two of the kids or get two rooms or just quietly cram everyone in. 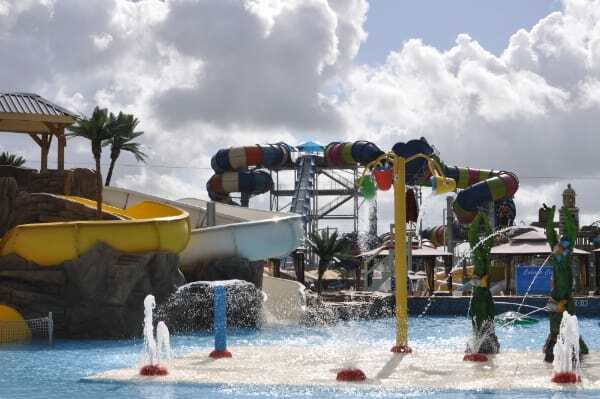 At Splashway you can bring the family plus grandma plus some friends and all stay together. This trip was definitely a highlight of our summer so far. 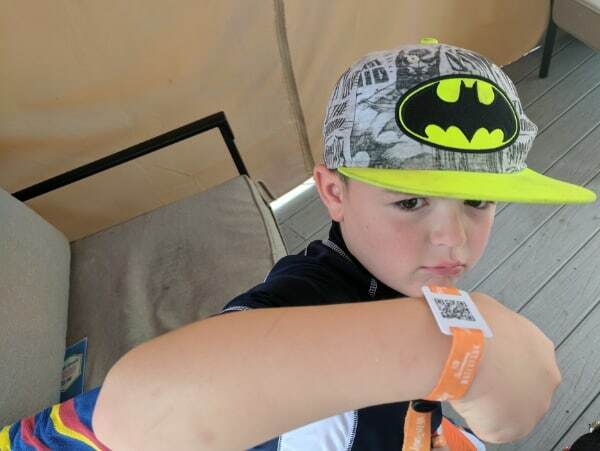 Our week happened to be a very very busy week at the waterpark, but with our cabin, cabana and multiple day tickets, we did not mind. We had plenty of time for everything… and when things go too busy, we found something different to do. 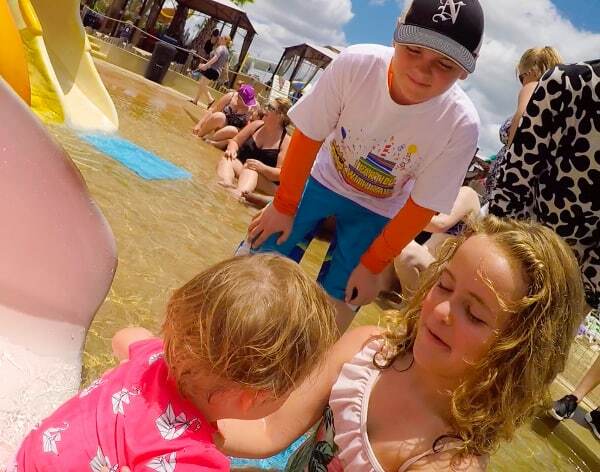 I have been asking the kids their favorite part of the vacation… and all they can tell me is EVERYTHING! And they want to know when we will go back! Use code BigKidSmallCity for $5 off your full priced ticket! 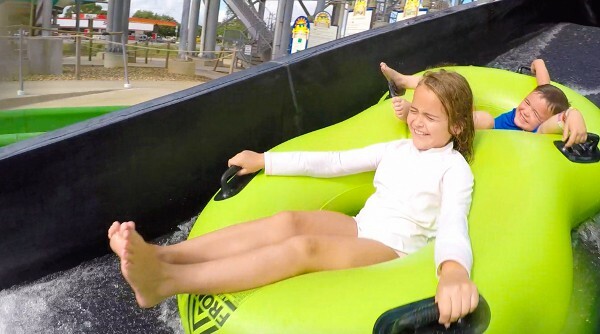 You can now load up your Splash Cash wristband, lock away your wallet and buy food, drinks, activities and merchandise from all over the waterpark and campgrounds. This is very convenient and a good way to stay on budget! 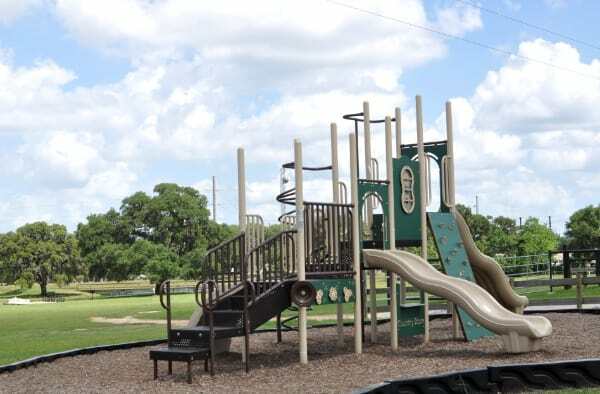 There are 2 toddler slide areas and lots of slides for kids between toddler and 42″. Lockers are available to rent. If you rent a cabana instead, there are locked boxes you can use. Arrive by 9:30am. 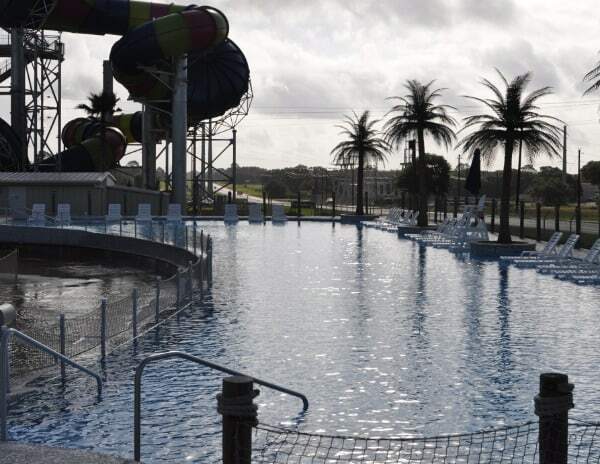 You cannot go in the water until opening, but you might get in early, be able to find a table/cabana and be at your favorite slide at opening. Do your favorite rides first. Ray’s Riptide and Loco Mono had the biggest line… so do it early if you can. We went on a weekday with a promotion going on. 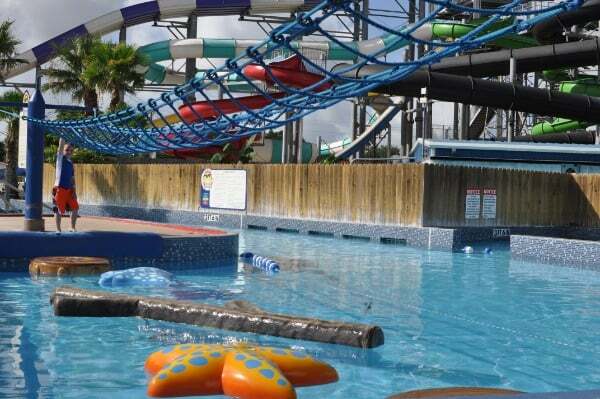 There were crowds… but still no worse than other Houston waterparks on an average day. 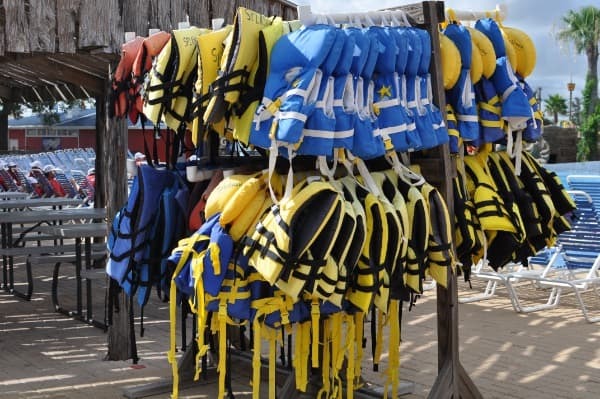 Life vests are available for free, all over the park. You can also bring in your own devices. 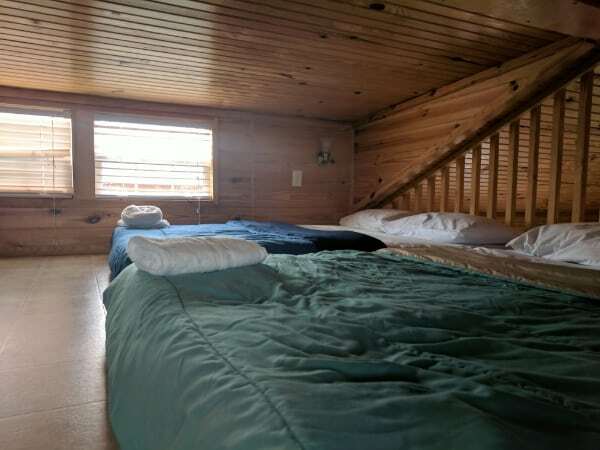 The cabins are air conditioned with a full kitchen, bathroom, bedroom, loft, screened in porch and satellite TV. 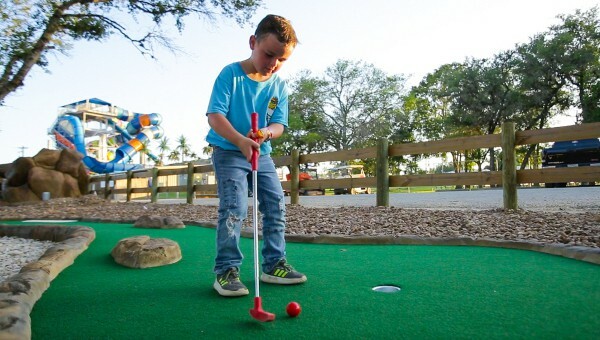 The campgrounds have a new putt putt golf course, a high tech laser tag course, pedal cars and pedal boats to rent. 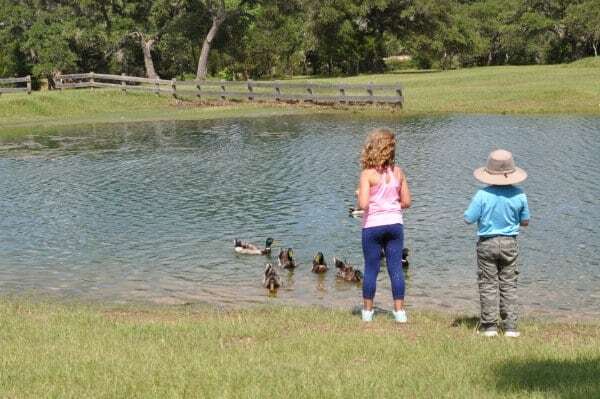 The campgrounds also have lots of free things to do including hikes, fishing, playgrounds, games in the family center, basketball, sand volleyball and more. Do not expect to get lots of groceries in Sheridan. There is a convenience store, but the closes real grocery store is probably 20 minutes away. Also, if you need just a couple items, likely the camp store has what you need. If you plan to go in the winter, read THIS post! 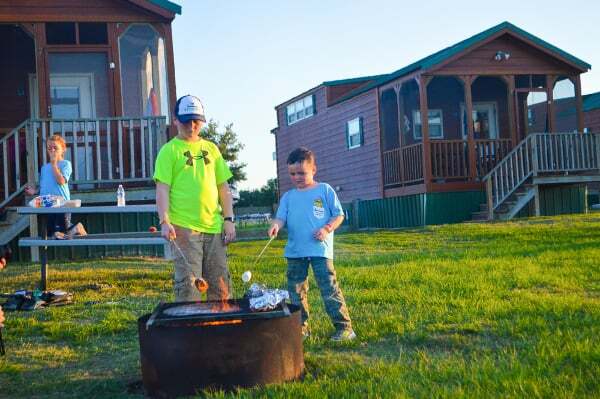 Take a look at more pictures below… and decide if Splashway Waterpark & Campground is right for you… and use code BigKidSmallCity for $5 off your full priced ticket! 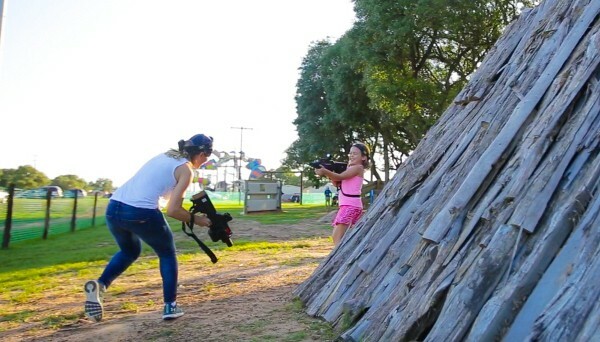 Basketball, Tricks and Shenanigans... The Harlem Globetrotters!